Meet THE Queen Of Rock. She’s bold, she shimmers, she’s a creature of the night. 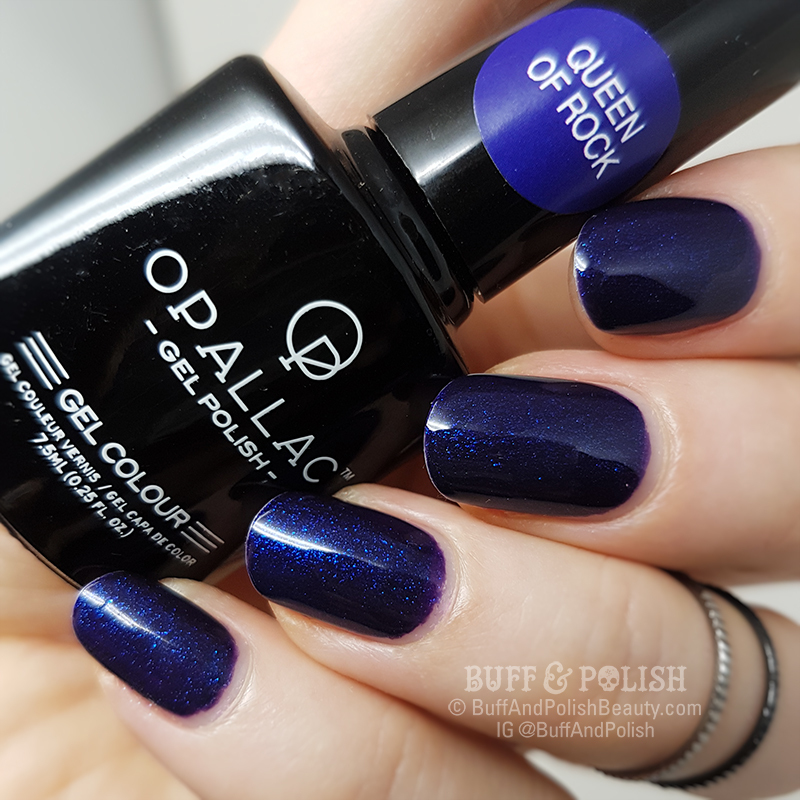 I tried to capture the many different faces of this @opallacgelpolish in the one photo. You can see her dark side right through to the way she dances with light in the left. She’s the perfect gel polish for your loud side! Smooth and glossy this is 2 thin coats. It’s a shimmer in a dark semi-jelly base and catches the light in various ways as I have captured in the main swatch. Had no troubles with this one at all and whilst you could do 3 thin coats, 2 was opaque enough for me. Flawless and streak-free finish, unlike some polishes in the shimmer family, which is a bonus. I love these kind of dark, creature of the night colours and they make the perfect base for music festivals, rock gigs, or even Winter nail art. Dress it with white or black and let your nails turn it up to 11! 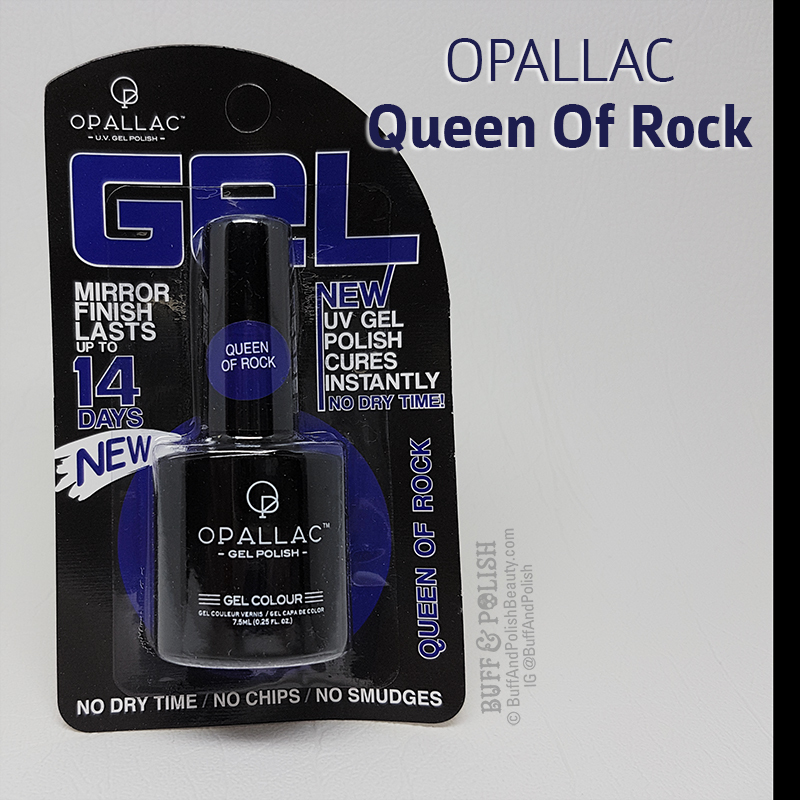 It is similar in tone to Revlon’s Midnight Affair, in some lights looking like OPI’s Yoga-ta Get This Blue but perhaps not as bright, though this QOR gel has shimmer pieces.